sunex: its been a while, is it? Its been a while, and now, thanks to Miss Zahid, im addicted again to korean dramas and movies. Sigh. I know, its nothing to be 'sigh' about, but, the only thing that bother me is that, when i started watching them, i just cant stop. Can you? It was so seductive and addictive, make u want it more and more everytime. Yup, u just cant resist. Eventho, i've already finished watching all the episodes, i didnt mind watch it all over again from the start. I told u, its very seducing. Its seducing enuf to let me 'ponteng' my class for it. 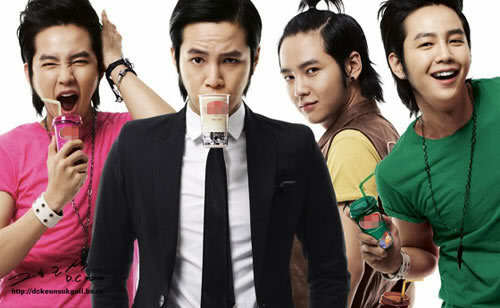 Actually, i was thinking to qada' my sleep, as i sacrificed them over the movie, but it end up, im watching it again! I just cant help it. U'll know when u watch it. 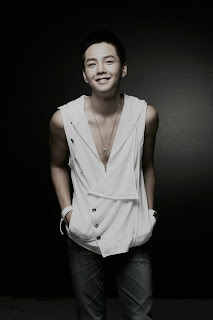 Minami Shineyo / You're beautiful starring Jang Keun Suk. Enuf said. Lets cuci mata, meh, meh, i know u gonna drool. Which haircut do u prefer on him? Me? 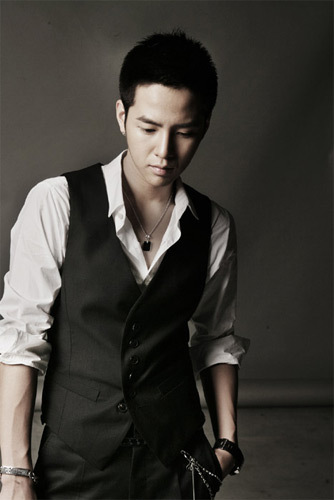 I totally has something with short hair guy, but Geun Suk totally rocks both looks. Dont u think so? 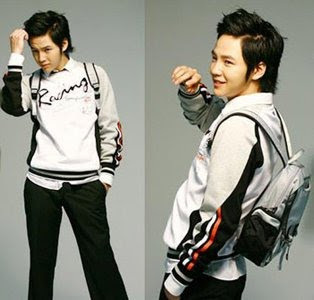 Ahh, my fave pics of him are the first and second. Melting. Eh, one more thing. 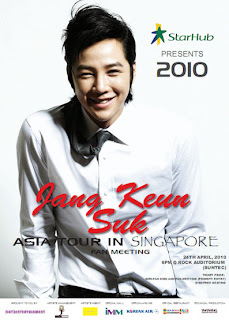 He's coming to Singapore this weekend. Arggghhhh. Wanna go there! supikgf: how can i missed him on Do Re Mi Fa So La Ti Do 's movie back then?